Following a passionate and troubled love affair with a pretty widow named Jane Holdsworth, Jury finds himself, unaccountably, a suspect in a murder investigation. Detained in London, Jury sends his friend Melrose Plant, former Earl of Caverness, to the Holdsworth family’s Lake District home to pose as an eccentric librarian. Plant discovers that his catalogue cards contain less data on Wordsworth, Coleridge, and Southey than they do on tantalizing questions about the Holdsworths: What happened to Crabbe Holdsworth’s first wife? What happened to his son, Graham? What happened to the cook Annie? And what might happen to the two children, favorites of rich old Adam Holdworth, who prefers the ambience of a swank retirement home, Castle Howe, where he and the elegant Lady Cray can drive the staff crazy? Jury and Sergeant Wiggins finally join Melrose at the Old Contemptibles pub, where they arrive at a solution that Jury detests, for no matter what he does, innocence will suffer. 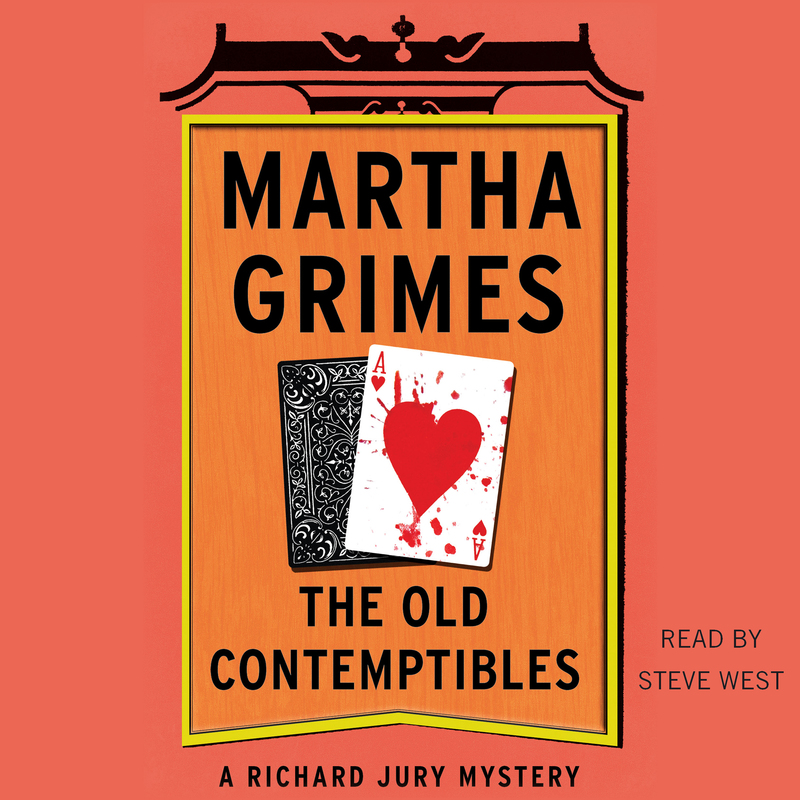 Bestselling author Martha Grimes is the author of more than thirty books, including twenty-two Richard Jury mysteries. She is also the author of Double Double, a dual memoir of alcoholism written with her son. The winner of the 2012 Mystery Writers of America Grandmaster Award, Grimes lives in Bethesda, Maryland.